1. Billy Gillispie Might Have Been A Good Hire. 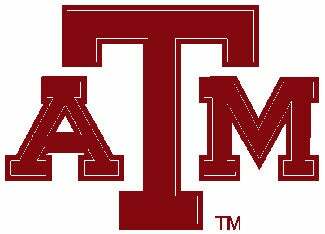 In their first eight seasons in the Big 12, the Aggies won 25 conference games and lost 103. For you math whizzes out there, that equates to 19.5 percent. In the past three years, they've won 31 conference games (64.6 percent). For a perspective of how far things have come in College Station, just two years ago the Aggies got so excited about making the NIT that they had T-shirts made for the occasion. I can't wait to see this year's NIT shirt design for UConn and Oklahoma State. 2. Acie Law Can Use Both of His Hands. Born righthanded, probable All-American point guard Acie Law learned to use his left hand to dribble and shoot after breaking his right arm three times. I'm sure he didn't teach himself how to do anything else left handed. Nope, no way ... not a 15-year-old high school kid. Speaking of Law, it's actually Law IV as you will see on the back of his jersey. You may ask "why would one include that on their jersey?" Well, Acie has an answer for you. "It's my name. I'm Acie Law the fourth. When I first got to A&M I wanted to put my whole name on there, and that's what it is." Well OK then. I guess that clears it up.